For every home and business owner, the lawns are undoubtedly a valuable investment. They are almost always the largest area of the landscape, and serve as both a foreground to the house, as well as a canvass for the rest of the landscape. A lawn that is maintained well beautifies the property, and raises the property value of the home. For a business owner, having a lawn that is an eye catcher serves as a very positive first impression to a customer, vendor, or a potential hire. Green, healthy lawns show that the owner cares about his property, and it also makes it a better sight for them, as well as their family and guests. It also makes the outside a far more pleasant living space. 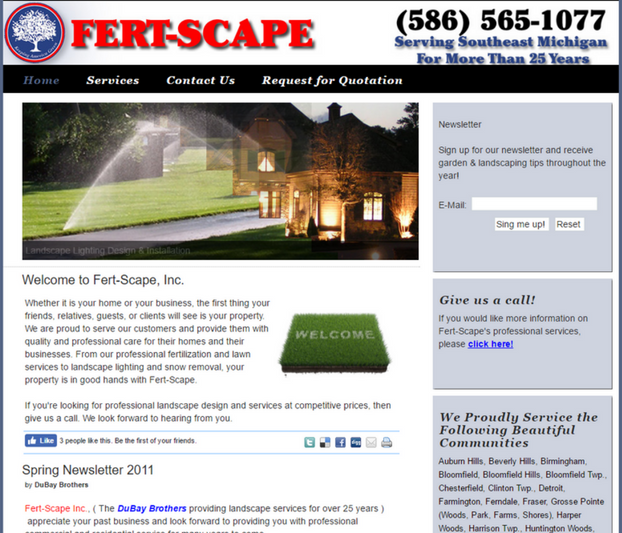 For home and business owners in or surrounding Sterling Heights, Fert-Scape Inc. is the business to call to make that happen. • The first step, done in early spring, consists of an application of fertilizer and a pre-emergent crabgrass product. This serves to give your lawn a jump start on nutrients, stimulating their initial growth as they come out of dormancy, as well as a preventive measure against these floral pests that also like to grow early in the year, seeking to displace your grass. • Later in the spring, the second visit will entail another treatment of nutrient-rich fertilizer, as well as a general liquid weed control product. This will counteract a wide variety of weeds that grow best in the moderate temperatures. • As summer arrives and the temperatures become hotter, we give your grass another application of granular fertilizer. It is important to keep it supplied with nutrients in order for it to fare better against the more severe temperatures of summer. Our first two applications of weed control should have taken care of most, if not all the weeds. However, we will apply liquid weed control on an as-needed basis. • The fourth visit, in late summer, continues the same strategy that we use in early summer. More granular fertilizer will be laid down, and a liquid weed control product will be used as necessary. • As fall comes, temperatures moderate, and the grass once again begins to grow at a quicker pace. This is when we apply another round of fertilizer, which will encourage the roots to grow deeper, strengthening their position to absorb more nutrients from the soil. Another weed control application will be given. • The last visit of the year will consist of a premium grade of fertilizer to keep your grass nourished as it enters its dormant stage upon the arrival of winter, and will make it ready to begin growing again next spring. In order to have a lawn with optimal health, there are yet other measures that we offer. Weeds are not the only pests that threaten turf. We encourage you to take advantage of our insect management programs. Also, aeration and overseeding should be done at least once annually to relieve soil compaction. 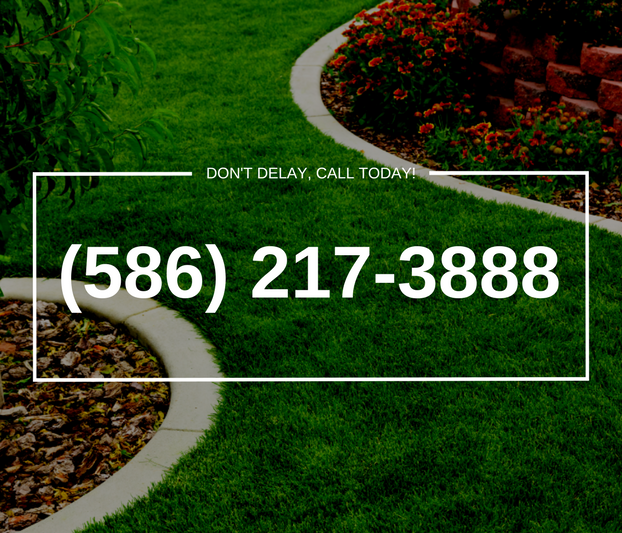 If you are ready to take your lawn to the next level, you need look no further than the staff at Fert-Scape Inc. to help you. Our thoroughly trained and continuously learning technicians are unsurpassed in the Sterling Heights area for their service and approachability. Visit our contact page or call us with questions, or a request for a quotation.